"Publish, Don't Perish: Submitting Research Articles to Refereed Journals"
How can a teacher remain whole and happy, able to teach well for an entire semester, an entire year, and an entire career? 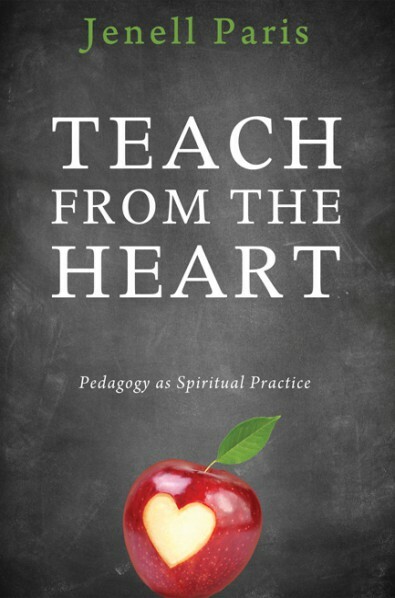 Teach from the Heart is about finding, rediscovering, or holding on to the heart of the teaching life, which is, quite literally, the teacher's heart. It is an encouragement to take up teaching as more than a service to provide, a profession to master, or a job to perform. It is an invitation to artisanry, teaching as a craft that we master by working with our hands over long periods of time, producing results that bear the mark of their maker. Whether you're just beginning, or in it for the long haul, sit down with Teach from the Heart and deepen your heart for the teaching life. We need not bring to class the wisdom and knowledge we gained elsewhere; we can take up teaching as a spiritual practice, with the classroom as a sacred space for our own formation as persons. Practical advice and candid reflection on the author’s 20 years experience writing both successful and unsuccessful grant proposals. ch. 1 Scholarship over Time. ch. 2 Enlarging the Perspective. ch. 3 The Faculty: A Mosaic of Talent. ch. 4 The Creativity Contract. ch. 5 The Campuses: Diversity with Dignity. ch. 6 A New Generation of Scholars. ch. 7 Scholarship and Community. A little over a decade ago, Ernest Boyer's Scholarship Reconsidered burst upon the academic scene, igniting a robust national conversation that maintains its vitbaality to this day. This volume aims at advancing that important conversation. 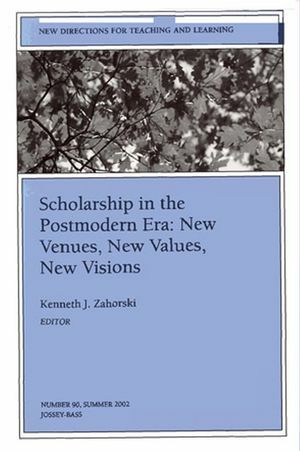 Its first section focuses on the new settings and circumstances in which the act of scholarship is being played out; its second identifies and explores the fresh set of values currently informing today's scholarly practices; and its third looks to the future of scholarship, identifying trends, causative factors, and potentialities that promise to shape scholars and their scholarship in the new millennium. One of the greatest legacies of Scholarship Reconsidered is the advocacy of a more holistic and humane approach to promoting, evaluating, and rewarding scholarship. This volume hopes to help nurture that legacy. 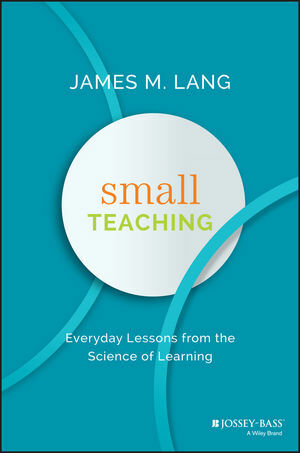 No other book exists that assists academics in learning how to use social media to benefit their teaching and research. This book provides an overview of social media technologies in the context of practical implementation for academics, guided by applied research findings, current best practices, and the author’s successful experiences with using social media in academic settings. It also provides academics with sensible and easy strategies for implementing a wide spectrum of social media and related technologies - such as blogs, wikis, Facebook, and various Google tools for professional, teaching, and research endeavours. - Your blog today? Tomorrow? - Why use online social bibliographic tools? - How can Twitter be used by academics? - Is tweeting for you? - Online engagement and interaction: what does it mean? - What is an online identity? - What should you know in order to adequately protect all of your ‘you’s? "Rethinking What It Means to be a Scholar"
"The Professor's Vocations: Reflections on the Teacher as Writer"
The following essay is based on an oral presentation, "On Being a Good Teacher and a Good Writer," which the author was asked to make for the Southwest Commission on Religious Studies, March 16, 2003. The purpose of the presentation was to encourage conversation among theological educators on the character of their vocation. A panel discussion of the theme followed the presentation. The presentation was designed to engage this subject at an autobiographical and reflective level rather than as an academic argument. 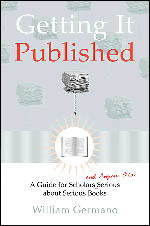 The published version of the essay seeks to retain something of the personal reflective character of the original presentation. The fully automatic bibliography maker that auto-fills. Easy and free way to build a works cited page. 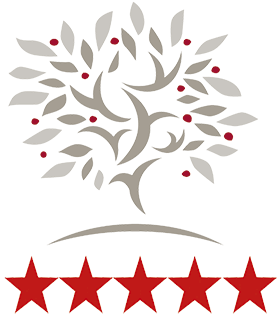 Abstract: Higher educations professionals face a myriad of competing demands on their time. Many of these pressures exist apart from teaching and outside the classroom altogether. Career requirements can seem to be never ending, and if they are not carefully managed and balanced, they can overrun even the most committed scholar’s resolve. 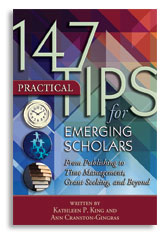 147 Practical Tips for Emerging Scholars assists you in developing your successful professional journey as a scholar by delivering proven and succinct guidance.... You can use this book as a ready reference that you can turn to again and again for solid direction, clarity, and encouragement. 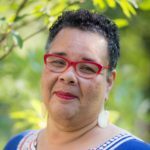 Abstract: Mindful Teaching and Learning: Developing a Pedagogy of Well-Being features a community of scholar-practitioners from across disciplines, methodologies, and ideological perspectives exploring and examining contexts that support mindful teaching, mindful learning, and a pedagogy of well-being. 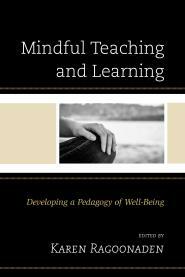 Collectively, these chapters document and analyze the opportunities and challenges within pedagogical sites and discuss how the disposition of mindfulness can be nurtured and sustained in educational practice and praxis. Bolstered by the positive evidence-based standards emanating from clinical settings, mindfulness based training has spread into a variety of other fields like psychology, healthcare, and more recently, education. Abstract: More people than ever are going to graduate school to seek a PhD these days. When they get there, they discover a bewildering environment: a rapid immersion in their discipline, a keen competition for resources, and uncertain options for their future, whether inside or outside of academia. Life with a PhD can begin to resemble an unsolvable maze. In Behind the Academic Curtain, Frank F. Furstenberg offers a clear and user-friendly map to this maze. 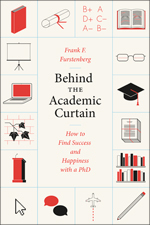 Drawing on decades of experience in academia, he provides a comprehensive, empirically grounded, and, most important of all, practical guide to academic life. ch. 2 An Academic Career or Not? ch. 2	What Do Publishers Do? Before you reconcile yourself to the idea that excellence in teaching and research are mutually exclusive, consider the similarities between the two endeavors. Research, teaching, service, and public outreach — all are aspects of being a tenured professor. But this list of responsibilities is missing a central component: actual scholarly learning — disciplinary knowledge that faculty teach, explore in research, and share with the academic community. How do professors pursue such learning when they must give their attention as well to administrative and other obligations? 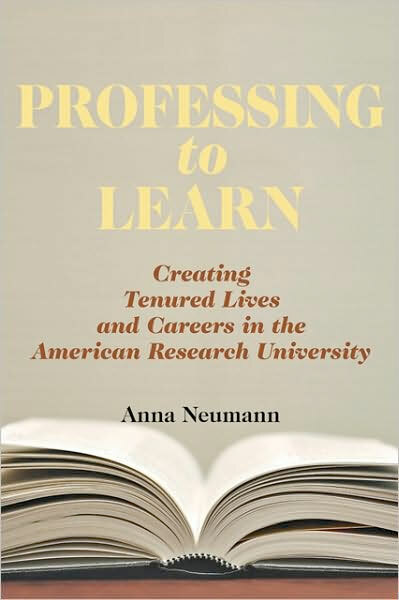 Professing to Learn explores university professors' scholarly growth and learning in the years immediately following the award of tenure, a crucial period that has a lasting impact on the academic career. Some launch from this point to multiple accomplishments and accolades, while others falter, their academic pursuits stalled. What contributes to these different outcomes? Abstract: If you find yourself thinking or saying any of the following, this is a book you need to pick up. I know or suspect that I am underpaid, but I hate negotiating. I do everything else first and then write in the time left over. I’m not sure exactly what the promotion requirements are in my department. Since earning tenure, my service load has increased and my research is suffering. I don’t get enough time with my family. 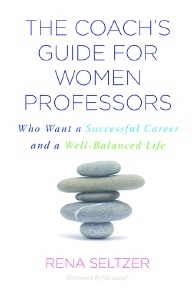 This is a practical guide for women in academe – whether adjuncts, professors or administrators – who often encounter barriers and hostility, especially if women of color, and generally carry a heavier load of service, as well as household and care responsibilities, than their male colleagues. Rena Seltzer, a respected life coach and trainer who has worked with women professors and academic leaders for many years, offers succinct advice on how you can prioritize the multiplicity of demands on your life, negotiate better, create support networks, and move your career forward. Using telling but disguised vignettes of the experiences of women she has mentored, Rena Seltzer offers insights and strategies for managing the situations that all women face – such as challenges to their authority – while also paying attention to how they often play out differently for Latinas, Black and Asian women. She covers issues that arise from early career to senior administrator positions. Nel examines the factors contributing to overwork on the part of faculty members in higher education: habit, economics, a culture of busy-ness, the blurred line between work and "fun," technological connectedness, etc. Based on "preliminary findings of an ongoing study at Boise State University," the author reports that faculty work 61 hours/week, increasingly at administrative tasks, and "largely alone." Only a vanishingly small percentage of time is spent on research and writing. The article is especially relevant in contrast with periodic pieces purporting to show that instructors in higher ed are protected from economic realities and underworked. "Break Away from Teaching Versus Research"
An article that reviews progress scholars and institutions have made to reshape the potential connections between faculty research and student learning, since Ernest Boyer’s landmark 1990 essay, “Scholarship Reconsidered” – developing our understanding of the research evidence, focusing on course design, and starting to reshape institutions. A short article by Diane Jonte-Pace, reviewing recent literature and issues, and commenting on specifically on aspects of the situation at Santa Clara University. First half of podcast looks at belief identities between the sacred and secular. Second half focuses on how to build an academic career, win research funding, and get articles published. Zoe Alderton leads a group of academics with experience of all levels of academic publishing in a discussion which aims to demystify the process. Susan Peck MacDonald here tackles important and often controversial contemporary questions regarding the rhetoric of inquiry, the social construction of knowledge, and the professionalization of the academy. MacDonald argues that the academy has devoted more effort to analyzing theory and method than to analyzing its own texts. Professional texts need further attention because they not only create but are also shaped by the knowledge that is special to each discipline. Her assumption is that knowledge making is the distinctive activity of the academy at the professional level; for that reason, it is important to examine differences in the ways the professional texts of subdisciplinary communities focus on and consolidate knowledge within their fields. MacDonald’s examination concentrates on three sample subdisciplinary fields: attachment research in psychology, Colonial New England social history, and Renaissance New Historicism in literary studies. By tracing, over a period of two decades, how members of each field have discussed a problem in their professional discourse, MacDonald explores whether they have progressed toward a greater resolution of their problems. In her examination of attachment research, she traces the field’s progress from its theoretical origins through its discovery of a method to a point of greater conceptual elaboration and agreement. Similarly, in Colonial New England social history, MacDonald examines debates over the values of narrative and analysis and, in Renaissance New Historicism, discusses particularist tendencies and ways in which New Historicist articles are organized by anecdotes and narratives. MacDonald goes on to discuss sentence-level patterns, boldly proposing a method for examining how disciplinary differences in knowledge making are created and reflected at the sentence level. Beyer, Catharine Hoffman; Taylor, Edward; and Gillmore, Gerald M.
Abstract: Shows what kind of changes college faculty make to their teaching and why they make them. The image of college faculty members as abstracted, white-haired, tweed-jacketed professors, mumbling lectures from notes that were yellowed by twenty years of repeated use is still pervasive. In this view, college faculty care only about their research and have little connection to the students sitting passively in front of them. Inside the Undergraduate Teaching Experience directly challenges this view of today’s college faculty and serves as a guide for graduate students and new faculty who seek ways—both personal and pedagogical—to become more effective teachers. ch. 3 What Courses Did Faculty Describe? ch. 4 What Changes Did Faculty Make to Their Courses? ch. 5 Why Did Faculty Make Changes to Their Courses? ch. 6 What Allowed Faculty to Teach from the Self? 8. What “Research” Methods Did Faculty Use? 9. Were There Differences across Groups? The authors’ purpose in this book is to provide “a collection of practical tips drawn from real-life experiences.” We believe this particular book is so important to share with today’s audience, we almost called it Take My Book, Please! On the other hand, does the scholarly world need another book on the importance of scholarship? Further, if the book standard for tenure is slowly disappearing because so many academic presses are closing, why would we bother to write one? And recent studies show that new faculty members consider university employment a 9:00-5:00 job, so doesn’t that leave out time for job-related reading? Finally, with the instant gratification of the internet, aren’t books dead in our culture or at least well on their way to extinction? Why, then, in the name of all that’s sane, did we put this collection together? a. Our publisher wanted a follow-up to our It Works for Me as a Scholar-Teacher as he believed we had a lot more to say on the subject. b. With over 800 publications, we thought we had something insightful to say. c. Most books on the importance of scholarship are either textbook in nature or extremely theoretical, while this book is neither. d. With our successful It Works for Me series we’ve found a niche in the marketplace. e. Being a large collaboration, this book provides many voices who all believe that reiterating the importance of scholarship is important. f. With a series of short, practical tips on scholarship, this book is very easy to read and, hence, might be read. Submitting a Manuscript? Do the Homework! Why Is It So Darned Hard to Get that Article Pushed out theDoor? ch. 5	What Makes a University Great? "Dialogue for Accountability: Pedagogical Proficiency and Religious Scholarship"
The author believes that the value of teaching in the academy will continue to be diminished as long as teaching and scholarship are viewed as separate and unequal. 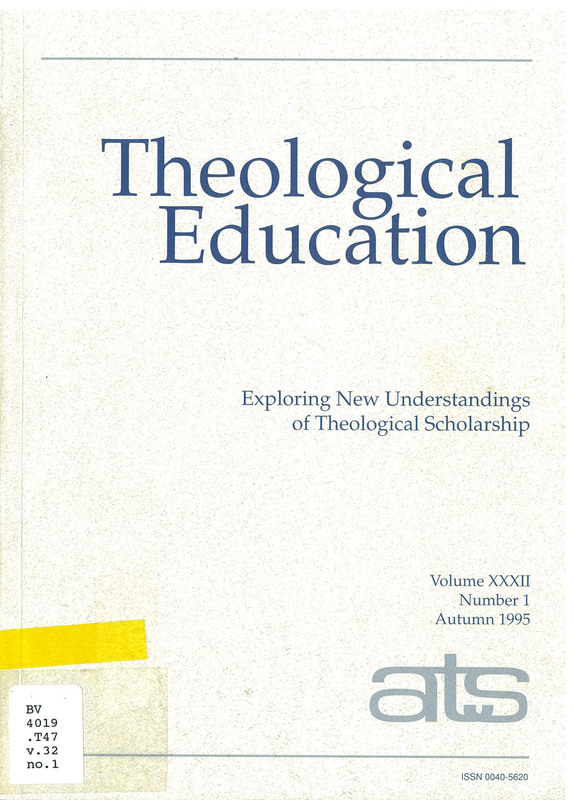 Thus, pedagogical proficiency is a fundamentally important component of religious and theological scholarship. 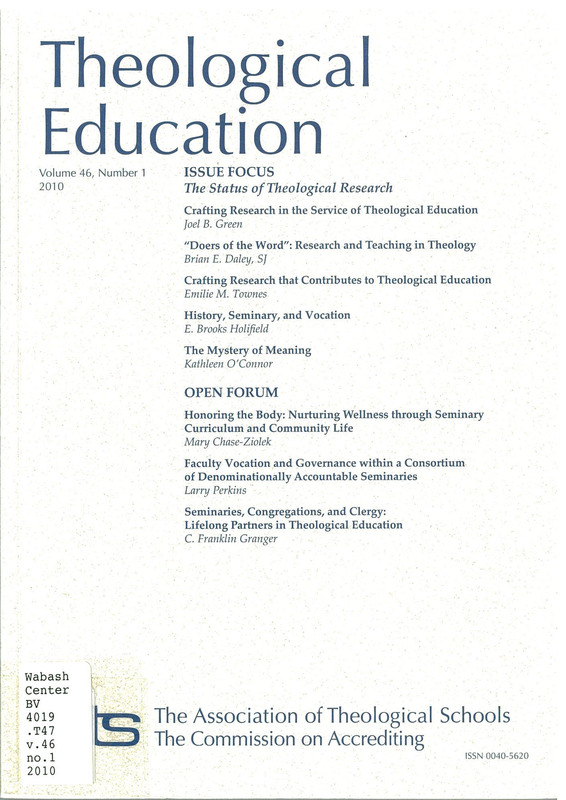 Pedagogical skills allow scholars to be in dialogue with people outside of their content specialization and outside of the academy; therefore, they enable dialogue with the people of a religious tradition who are not scholarly specialists, but who are the living community of the religious tradition. The article seeks first to articulate a clear understanding of teaching competency, drawing on the concept of pedagogical proficiency. The case is then made for the role of teaching in scholarly research and, finally, its specific role in religious and theological research, showing that research accountability to a living religious tradition necessarily demands teaching competency. - How does one become good at retrieving knowledge from memory? - How does making predictions now help us learn in the future? - How do instructors instill fixed or growth mindsets in their students? ch. 1 Who Should Teach in a University? ch. 2 What Should Universities Teach? ch. 3 Who Should Go to College? ch. 4 What is at Stake on Campus? Gray, Paul, and Drew, David E.
Just landed your first faculty position? Close to getting your Ph.D., and planning a career in academe? What will academic life be like? How do you discover its tacit rules? Develop the habits and networks needed for success? What issues will you encounter if you’re a person of color, or a woman? How is higher education changing? 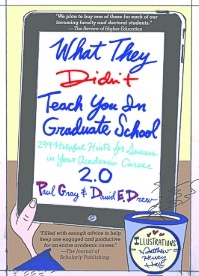 Paul Gray and David E. Drew share their combined experience of many years as faculty and (recovering) administrators to offer even more insider advice—the kind that’s rarely taught or even talked about in graduate school – to help you succeed. The 100 new hints expand sections on the dissertation process, job hunting, life in the classroom and on dealing with students, as well as on matters that affect readers’ careers, such as research, publication, and tenure. The book concludes with a tongue-in-cheek appendix on How to Become a Millionaire while an academic. How long is too long for your dissertation? Couple the likterature search closely with the discussion of results and the conclusion. Not-for-profit or for-profit for first or second job? Consider student costs when selecting textbooks. You can go home again-retreat rights. Your research assisstants require supervision. A series of invited blog posts by Wabash Center program participants, reflecting back on earlier moments in their teaching careers, what they learned, and what they wish they had known. Diamond, Robert M. and Bronwyn E. Adam, eds. Baldwin, Roger G. and Zeig, Michael J. 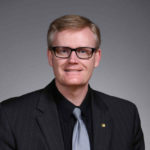 Policies should encourage senior professors to engage in periodic review of their performance and professional goals and allow deans and department chairs to negotiate revised responsibilities are necessary to take fuller advantage of the gifts senior faculty can share with their institutions – and to ensure that senior faculty are treated fairly and consistently. Baldwin, Roger G.; Lunceford, Christina J.; and Vanderlinden, Kim E.
Initial findings from this exploratory study indicate significant questions, such as: why does the focus of faculty work appear to shift and, in later career? How do the administrative and leadership roles often assumed by midlife and mid-career faculty affect other dimensions of faculty work? Is the level of work satisfaction of mid-career faculty a function of the job demands or of life assessment and career questioning? What roles do institutional context and disciplinary field play in the experiences and perceptions of the middle years of the academic life cycle? "Teaching vs. Research: No Simple Debate"
A short article by Diane Jonte-Pace, reviewing recent literature and issues, and commenting specifically on aspects of the situation at Santa Clara University. "Integration of Teaching and Research: Myth, Reality, and Possibility"
The prevailing notion of integration of college teaching and research is more myth than reality. To make the relationship more productive, educators must change the terms, redefine research, and reorient thinking about teaching, understanding that teaching and research are distinct and not automatically linked. Institutions must implement policies reflecting broader definitions of research and more intellectual orientations to teaching. "Interconnectedness of Scholarship and Pedagogy"
A short, punchy advice list by Quentin Vicens, and Philip E. Bourne - pharmacists, but relevant for the humanities as well. With some references for further reading and reflection. A referenced study suggests that, while discussing content of one's research with students does not significantly improve instruction, there is a better way to use your research in teaching: choose forms of teaching (like inquiry-based and problem solving approaches) that "mirror the research process." A one-page list of important publishers of academic books in religion and theology.